The Drug Enforcement Agency is a well known branch of law enforcement - but did you know they had a museum? They do! 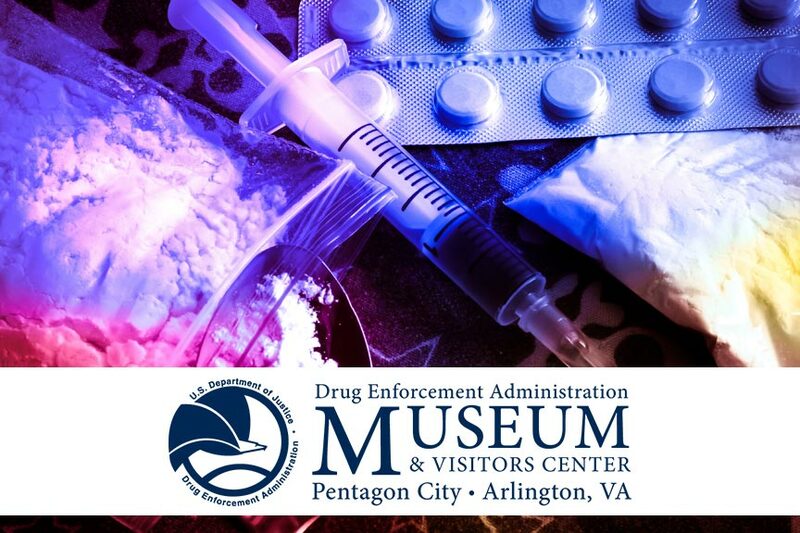 The DEA Museum & Visitors Center is located in Arlington, VA.
Arlington is home to a number of fascinating museums, many of which are quite famous. There's the National Air and Space Museum, the United States Holocaust Memorial Museum, the Smithsonian National Museum of Natural History, and the Museum of the Bible, to name just a few. One often overlooked gem is the DEA Museum & Visitors Center. "DEA" stands for "Drug Enforcement Agency," and this museum contains an overview of our country's history of illegal drugs and drug enforcement. The museum is on the ground floor of the Drug Enforcement Agency's headquarters in Arlington. It's a small museum that tackles a big subject. Though some of the exhibits have aged, and some of the attitudes on display may seem a mite olde-fashioned, it's still a very fascinating place. Your self-guided tour through the DEA Museum will take approximately an hour. An audio tour is also available through your smartphone. Engaging exhibits, displays, and interactive stations cover such topics as Illegal Drugs in America, Good Medicine, Bad Behavior, and Drugs: Costs & Consequences. DEA agents have been collecting badges, photos, documents, paraphernalia, and other related items since 1976. The museum contains hundreds of artifacts covering the last 150 years of drug use in our country. You'll see exhibits detailing opium parlors of the 19th century and cocaine-dispensing apothecaries of the 1920's. Revisit the trippy-dippy 1960s, the crack epidemic of the 1980s, and on to the crystal-meth labs of today. They even have life and death masks of Columbian drug kingpin, Pablo Escobar! A great many of the items on display date back well before the establishment of the DEA, itself. The DEA Museum Gift Shop offers an opportunity to pick up badges, pins, magnets, shirts, hats, and more. There is also a somber Wall of Heroes that details many of the law enforcement lives lost in the fight against illegal drugs. The Drug Enforcement Administration Museum and Visitors Center is located directly across the street from the Pentagon City Mall, at the corner of Army Navy Drive and Hayes Street. 700 Army Navy Drive, Arlington, VA 22202. You can also visit the museum online. There's never a bad time to visit Virginia - but there are better ways. A Virginia bed and breakfast is your passport to old-time value and hospitality combined with the best in modern amenities. Plus you'll be staying with someone who can give you an insider's knowledge of where to go and what to see while you're in the area. For best in lodging comfort and value during your Virginia getaway, stay at a locally owned and operated Virginia B&B!